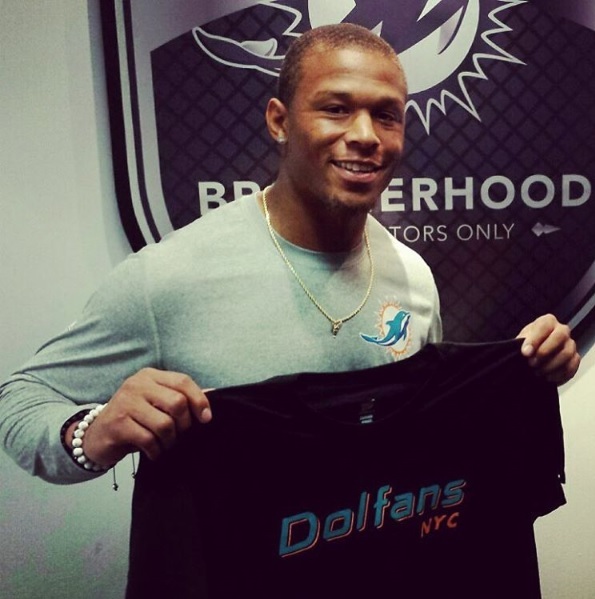 Buried on the depth chart and limited to special teams for much of his first three NFL seasons, Dolphins wide receiver Rishard Matthews acknowledges he momentarily let his emotions get the best of him during the offseason, before a pivotal conversation with a team legend reversed his outlook. Matthews – who entered his fourth-year campaign as one of only two incumbent wideouts on Miami’s revamped receiving corps – cemented a starting role, separating himself from his peers by utilizing his size and strength as both a pass-catcher and blocker. Originally a seventh-round draft pick in 2012, Matthews showed flashes of his immense potential early in his career – hauling in 11 catches for 120 yards and two touchdowns in Week 10 of the 2013 season – setting the stage for his eye-opening start to 2015. The University of Nevada product has started all six games – already matching his total from his first 38 NFL appearances – and is on pace to not only shatter his career highs in nearly every statistical category, but rack up the fifth-most single-season receiving yards (1,168) and touchdowns (11) in franchise history. 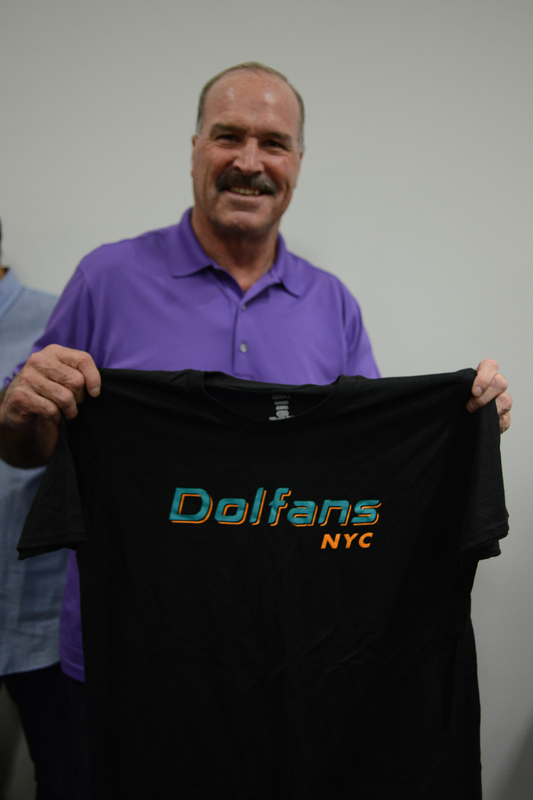 DolfansNYC caught up with No. 18 to discuss his remarkable success, adjusting to fantasy football stardom, enjoying family life and more. What do you feel have been the biggest keys to your breakout season? “I would just say opportunity and consistency. I was just able to capitalize on my opportunity when DeVante (Parker) went down (with a foot injury). That’s really the reason I was able to make it hard for the coaches to put me back on the bench. Have you set out to accomplish any personal goals this season and beyond? How often do you hear fans say you’re on their fantasy teams? Who were players you admired growing up and modeled your own game after? What have been the biggest differences for you and the team since Dan Campbell took over as head coach? I’ve read he’s a big Metallica fan. Does he play any heavy metal music in the locker room? What kind of music do you listen to before games? What are some of your favorite off-the-field hobbies? Congratulations! How old is your son? It must be even tougher now to go on the road, but how much does it mean to you to have fan support across the country? 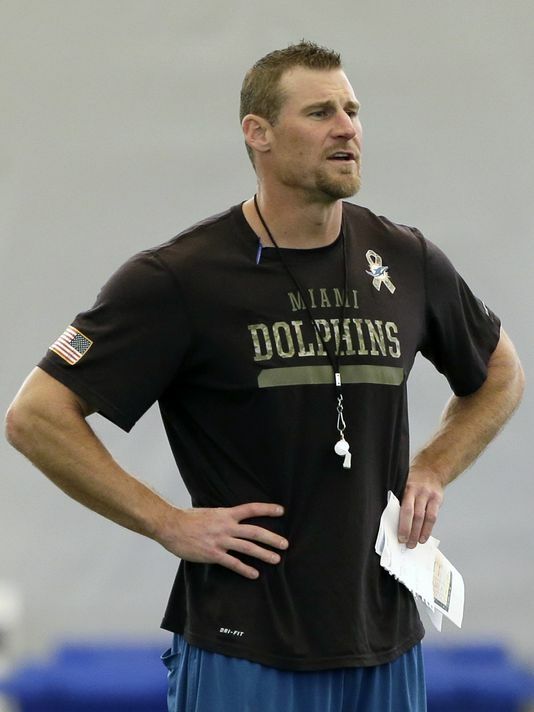 Six years removed from a decade-long NFL playing career, Miami Dolphins interim head coach Dan Campbell – his broad-shouldered, 6-foot-5 frame and intimidating biceps hard to miss as he rests his hands on his hips at the center of the team’s meeting room – still looks the part of a burly tight end, ready to lace up his cleats and lay out opposing linemen with crushing blocks. That same fiery, inspirational passion for football that has galvanized the rejuvenated Dolphins is unmistakable as he addresses a group of website administrators on a Friday afternoon, his booming voice echoing throughout the auditorium. “Coach Campbell does a good job of getting (everything) out of the players,” says Dolphins fourth-year wide receiver Rishard Matthews. “He was a guy they brought up here a previous time to speak to the team. I think just when he talks – I don’t know how to explain it – you have to hear him speak for yourself … right when he’s done talking, you’re just ready to go. It’s no wonder Campbell’s no-nonsense approach has quickly resonated and changed the collective mindset of his players, considering the 39-year-old – who’s younger than five current NFL starters – has experienced the gamut of exhilarating highs and devastating lows in the pros, which include reaching Super Bowl XXXV and later earning his first championship ring. The Texas native’s appreciation of a winning culture and yearning for on-field physicality trace back to his four-year Giants tenure, during which he helped lead the unified squad to the title game in 2000. 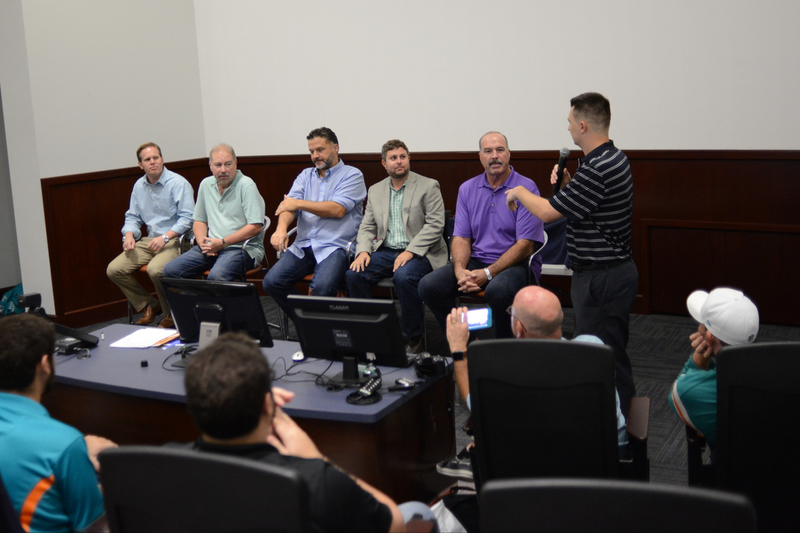 “First of all, we had a really good locker room – we had a majority of guys who bought in,” he recalls. “Guys would play for one another; guys would practice for one another. Our practices got heated. I remember (Michael) Strahan got fired up every day, it seemed like … Things would go back and forth (between offensive and defensive players), but we grew together and we competed, and when we rolled out there on Sunday, we were one. Although Campbell was placed on injured reserve prior to his final NFL campaign, he spent the offseason and start of training camp with the 2009 champion Saints, learning the nuances of the game from an elite coach and future Hall of Fame quarterback. Campbell’s experience in the Bayou was a far cry from a year prior, when he found himself on the opposite end of the NFL spectrum, suiting up for the lowly 0-16 Detroit Lions in 2008. Recognizing a similar disconnect in the Dolphins locker room, Campbell immediately set out to recapture the seamless magic he experienced in New York and New Orleans. Not surprisingly, Miami has outscored its opponents 82-36, averaging 468 yards of offense while racking up 10 sacks and returning two interceptions for touchdowns en route to cruising to a 2-0 record under its new leader. “We have a really good locker room and we have guys who want to win,” says Campbell. “They want to compete, and they’re beginning to take ownership of their team.